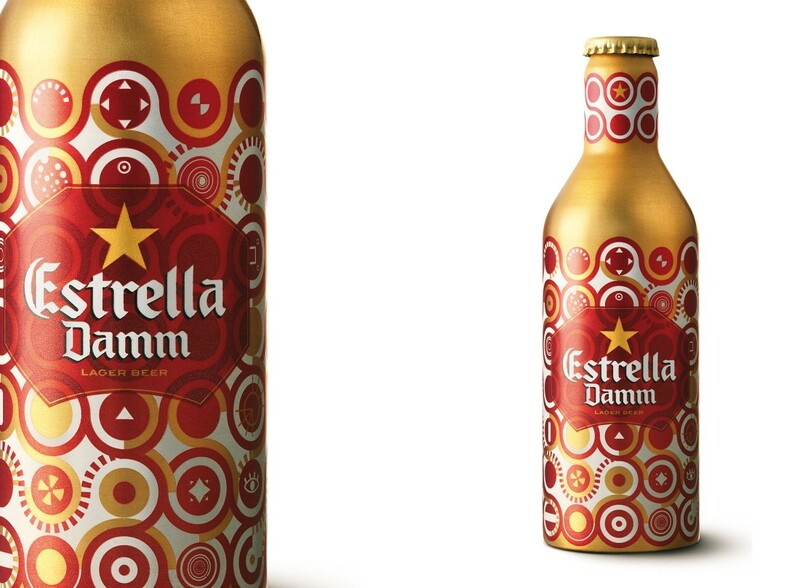 I was invited to design a special edition for this famous Barcelona beer. The bottle was made of aluminum and printed with seven direct colors. The composition evokes emotion and a fiesta-like feeling with basic elements such as gold bubbles and sinuous red lines meandering around.